Binnish. Syria. 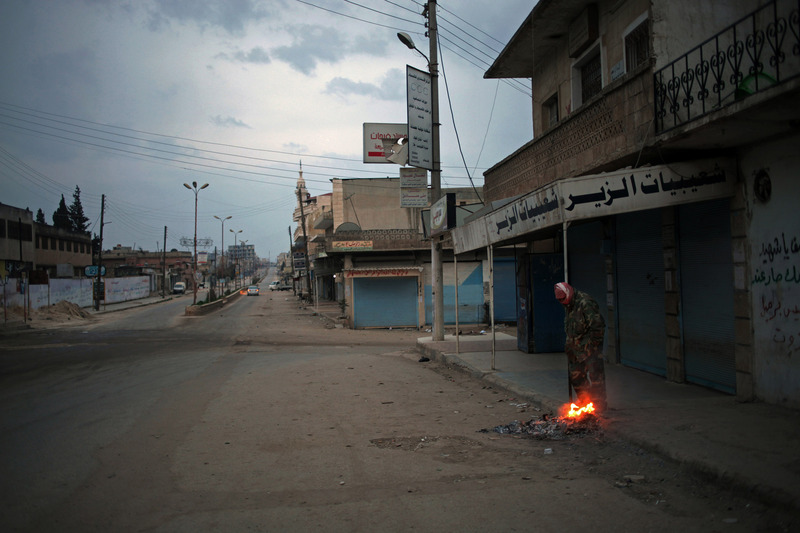 26th March 2012\nFree Syrian Army rebel watchman stands vigil at dawn on the main street in Binnish, a small frontline town 10 kms North East of Idlib. Controlled by anti-regime forces. Civilians population await their fate as Syrian military forces are build up nearby. The area of northern Syria bordering Turkey is seen as a key strategic goal by both sides of the conflict.